Another janitorial cleaning essential from Nexus Cleaning Supplies. Horizon Biological Washing Powder's high oxygen bleach gives effective removal of stubborn stains, even at low temperatures. 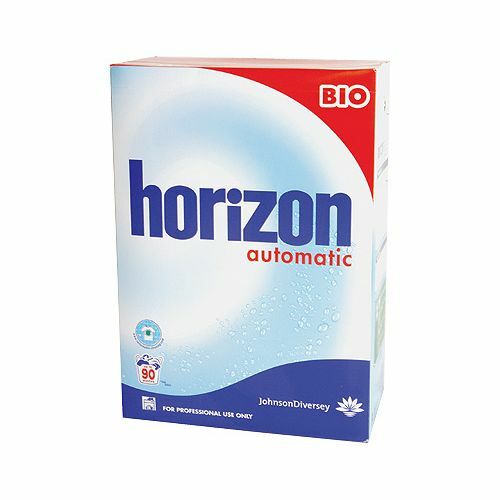 This is an Easy-carry bulk pack of Horizon Biological Washing Powder for all automatic machines. Each case contains a 90 wash sized container of Horizon Biological Washing Powder. 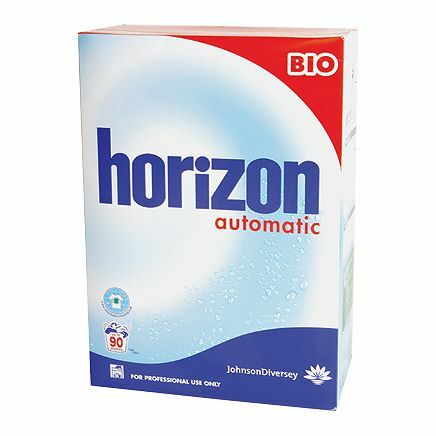 All of our janitorial cleaning supplies, including Horizon Biological Washing Powder, are available to buy in bulk. Here at Nexus Cleaning Supplies Horizon Biological Washing Powder is always available at the best possible prices so why not place your order today? Save 40% Scotch Brite Black Stripping Floor Pads 17"
Save 40% Scotch Brite Green Scrubbing Floor Pads 17"
Save 38% Scotch Brite Red Buffing Floor Pads 17"